Shaved Fennel & Citrus Salad with Buttermilk Dressing - Recipe! - Live. Love. Laugh. Food. 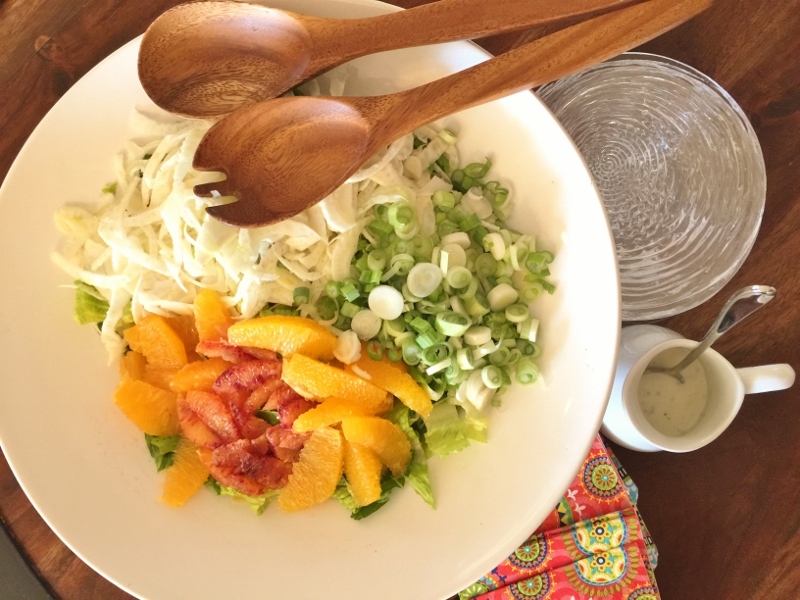 Shaved Fennel & Citrus Salad with Buttermilk Dressing – Recipe! Spring brings a whole new take on fresh salads. I just love the light licorice flavor of fennel, especially shaved finely with mixed greens. Fennel is one of those vegetables that many people think they don’t enjoy, but raw, it has a completely different taste than when cooked – it is mild and fragrant with a slight crunch. 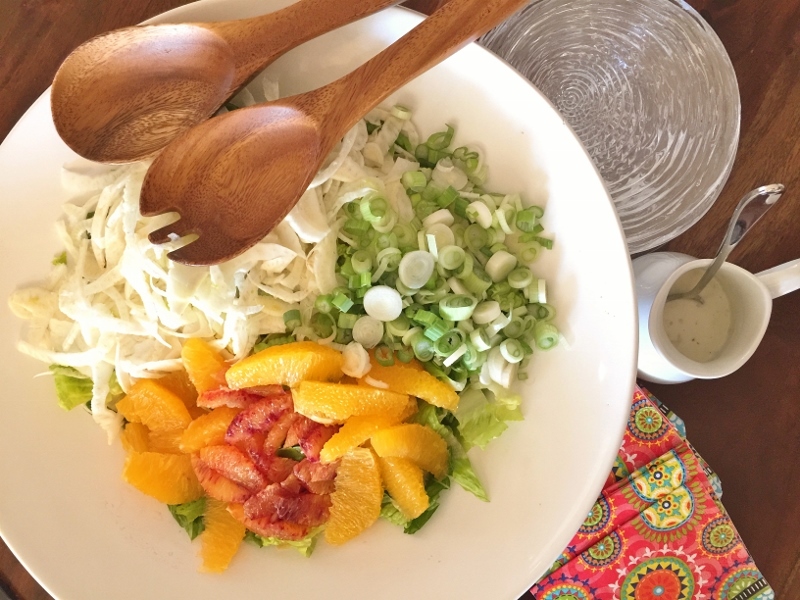 Oranges have been in season for a few months, and what better way to utilize nature’s sweetness than in a refreshing salad. Whether Blood, Cara Cara or Navel, oranges add a touch of sugar, that pairs nicely with fennel and the buttermilk dressing. 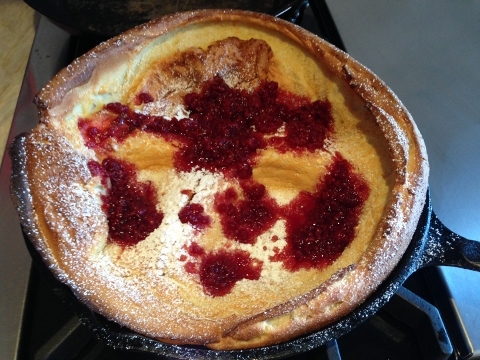 Buttermilk just happens to be one of my favorite ingredients in salad dressing. It adds a fresh tang to any combination of greens and makes a nice substitute for oil – much lower in calories. This Shaved Fennel & Citrus Salad with Buttermilk Dressing is perfect on a Social Sunday with grilled fish, chicken or beef, but it is so easy to prepare, it can be quickly tossed together during the week to accompany any weeknight meal. 1. 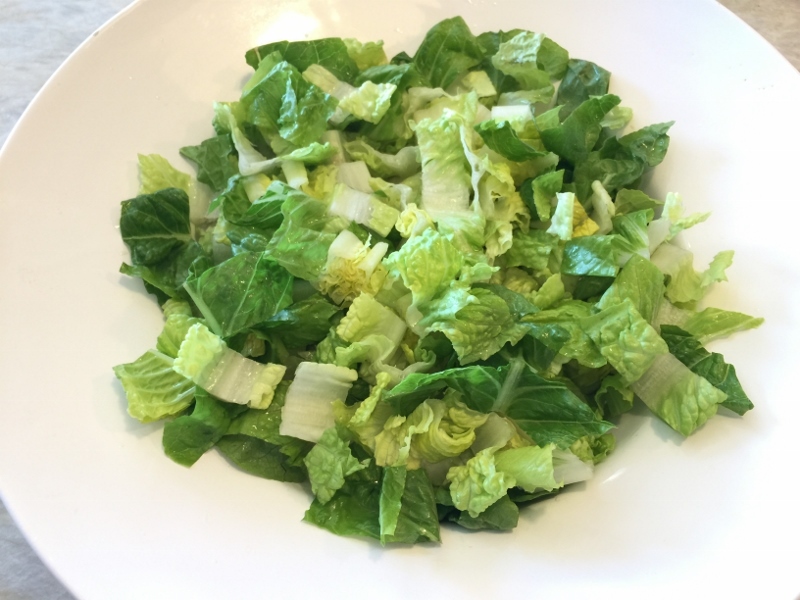 Slice the Romaine lettuce and place into a large salad bowl. 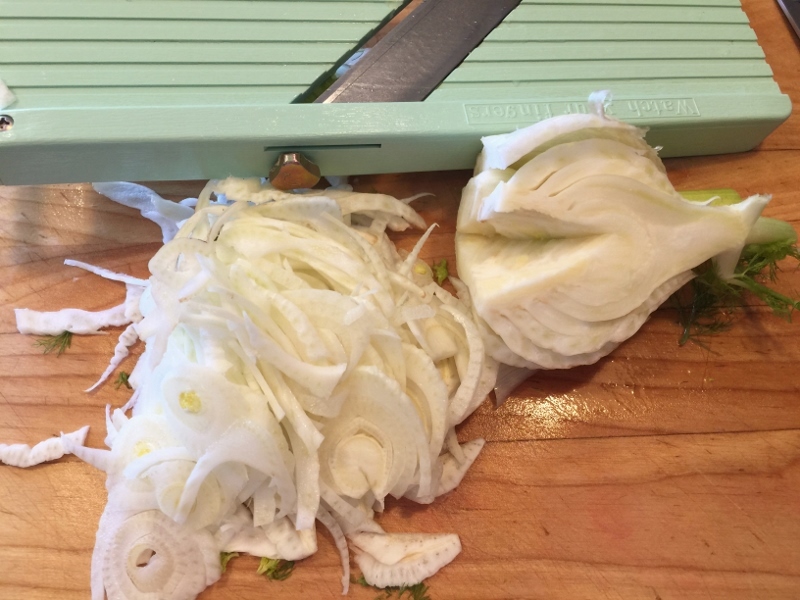 Shave the fennel on a mandoline or slice very thin with a knife. 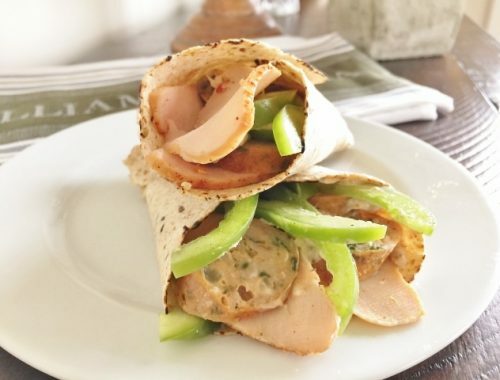 Place the fennel on top of romaine, then slice the scallions – put on top of Romaine. 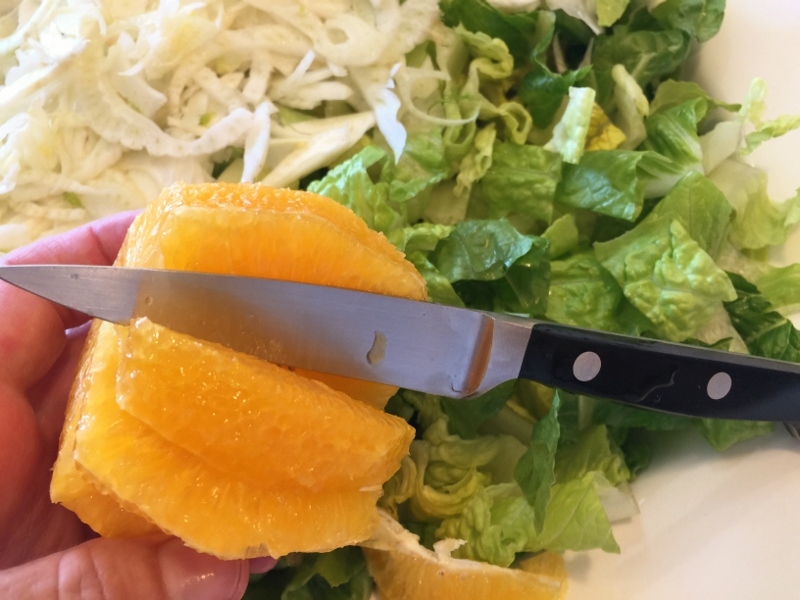 Using a paring knife, segment the oranges and place on top of Romaine. 2. 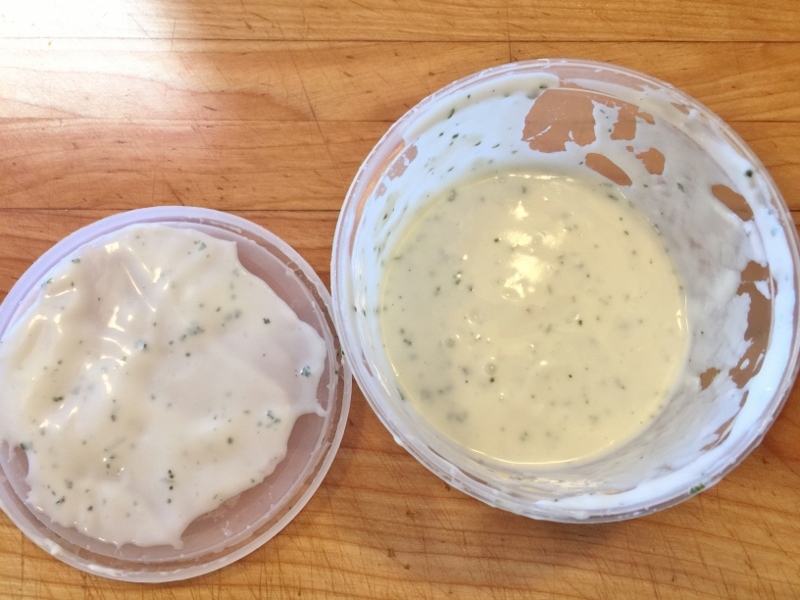 Place the dressing ingredients into a container with fitted lid. Shake the dressing, until combined and serve along side Shaved Fennel & Citrus Salad. Enjoy! 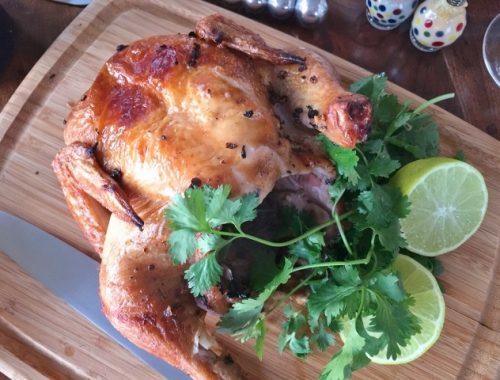 Grilled Tea-Infused Chicken – Recipe!